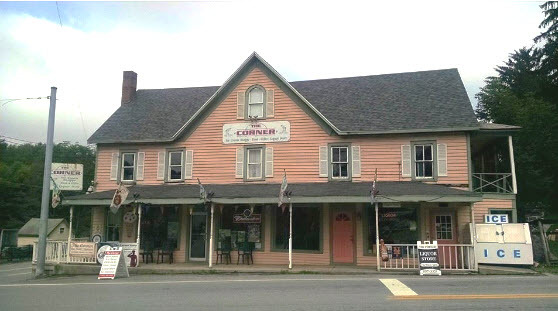 Located in the beautiful town of Highland, NY is The Corner; a charming peach house-turned-business-front that is now a liquor store on “the corner” of Eldred. They provide the community with spirits, beers and wines at fabulous prices. When the Corner Liquor Store decided to upgrade their POS, they knew the impact it would have on their business. While Point of Sale systems themselves are necessary, a system designed around liquor store needs are absolutely essential. A general register or electronic register system leaves liquor stores with major flaws in their operations that can be costly or detrimental. With caution in mind and with a critical eye, they began their search for the best liquor store POS. After diligent research of cost analysis, functionality and reliability, the Corner Store turned to Cafe Cartel. The consultants at Cafe Cartel reviewed their needs with them and provided them options at multiple price points for software and hardware packages. The bottom line was that Cafe Cartel put the control back in their hands. Cafe Cartel placed their priorities and needs first while providing them the most reliable solution on the market. In addition to the standard POS features such as employee time clock, reconciling and reporting , they gained access to the features built for their business. These included theft control, ID scanners, case and split case inventory pricing. With inventory location tracking their staff is always aware of the exact product location. The staff can also access 6000+ drink recipes to provide valuable insights to their customers. Getting setup was a breeze! CCS comes with a database of over 10,000+ items in the system. Cheers to that! With over 12 years in business, CCS has provided installations across the globe. Their industry knowledge will help you build your business and adapt to any changes along the way. With a passionate team of consultants and service agents, CCS is committed to providing you the best solution available. To discuss your needs with a POS professional call 866-973-8099 or request a quote today. 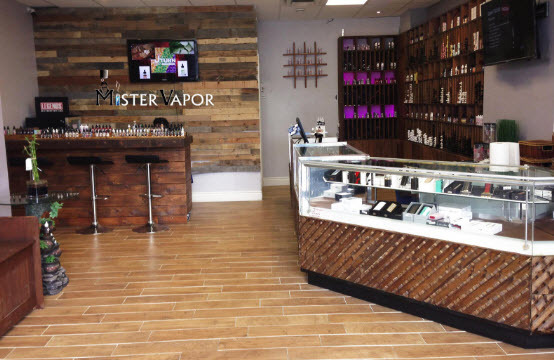 Mister Vapor is Etobicoke’s most popular vape shop in Toronto, Canada. They have a wide variety of specialty e-juices and quality electronic vaping products. What makes Mister Vapor stand out from the crowd is their stellar customer service and knowledgeable staff. The employees here take their time with every person and provide valuable product insights to their customers. When it came time for Mister Vapor to choose a Point of Sale system, they had some requirements for what would best suit their needs. Firstly, they wanted to provide their own hardware and to purchase software only. Secondly, they wanted a solution that could easily track their long list of e-juices, mods, accessories and battery options. Essentially, their products are sold in variations ranging from different sizes to different strengths. So it didn’t make sense to have 9 different buttons in their system for one flavor. It was clear to them that a retail POS system lacking in industry knowledge wouldn’t sufficiently handle their inventory setup. With their priorities in mind they started comparing various Point of Sale systems. After careful research they came across Cafe Cartel Systems. CCS provides hardware and software options. They sell various systems at different price points. This flexibility empowers their users with a system that best fits each businesses needs. This meant that Mister Vapor could purchase software only and choose their own hardware. First requirement: check. Mister Vapor was pleased to find out that CCS had a inventory system designed around their industries needs. They can filter their buttons from liquids to brands, to flavors, then by size and strengths. CCS handles kit and combo pricing as well. This organizes inventory in an intuitive way and requires only minimal data entry to get started. Within two training sessions, Mister Vapor had their POS up and ready to go. They gained access to additional features that included, vendor re-order lists, reconciling, reporting and age verification. Though Cafe Cartel is based out of the United States they service worldwide, which means that Mister Vapor doesn’t loose any access to technical support by simply choosing to buy a system based in the US. To review your needs with an experienced consultant call 866-973-8099 or request a quote today. 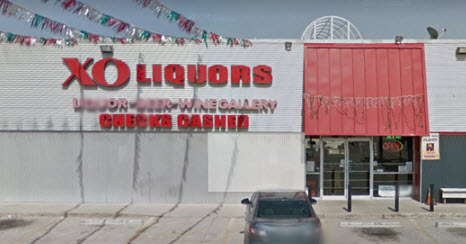 AXO Liquors is located in Fort Worth, TX and sells spirits, beers and wines on a 7,000 square foot inventory. They also offer other convenience items such as lotto tickets, tobacco products, snacks and soft drinks. But mostly they’re known for their very large supply of various tequila brands! They even deliver to large businesses including bars and restaurants. When AXO began their search for a POS system they needed a provider who supplied a solution to the liquor industry specifically. CCS provides industry-specific solutions as well as options relating to location and their unique regulations. For example, 38 states have Dram Shop Laws. These laws hold the business liable to any injuries caused by an over-served customer. This includes Texas. However, Texas also has a law called the Texas Safe Harbor Law. This protects liquor stores against excess liability claims if the store employees attend a TABC-approved “seller training program.” This program protects the business from liability if the accused employee had attended the program. Considering the above information, how does this apply to the POS system? Essentially, the business owner would need to definitively prove that the accused employee, who attended the program, did in fact ring the customer up. Employee pin codes are not sufficient as they can be manipulated; and spending hours reviewing security footage isn’t an ideal solution either. Therefore Cafe Cartel Systems supplies fingerprint scanners with direct integration for a more secure setup. It became clear to AXO that CCS knew the industry and could provide options tailored to their needs. 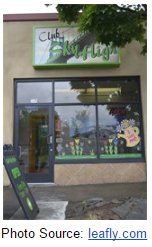 Established in 2013, Club Sky High brings quality Medical and Recreational Marijuana products to Portland, Oregon. This locally owned dispensary aims to help as many people as possible lead a more productive and pain free life. In fact, they’re most recognized for their staff’s willingness to impart their knowledge and educate others. 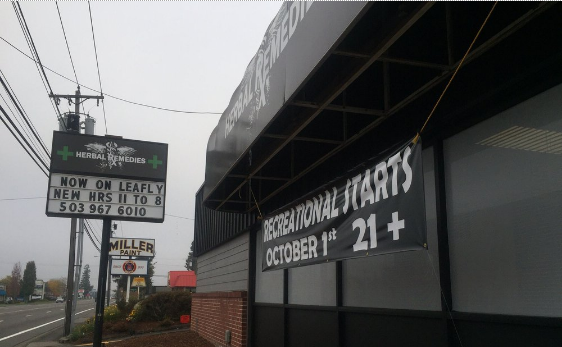 This enthusiasm has lead to them to become a wildly successful and thriving marijuana dispensary! There are many factors to running a successful business in general. 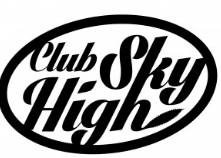 However, operating a dispensary like Club Sky High, comes with unique factors that are only applicable to the marijuana industry. The most primary factor here is following state regulations and guidelines. So in order for dispensaries to obtain necessary operational tools, they need to ensure that they will meet the required regulations. Cutting corners in operations can result in involuntary shutdown. When Club Sky High began searching for a POS, they needed a solution that they could depend on and would adhere to the Oregon Dispensary regulations. When they found Cafe Cartel, they discovered a provider who had integrated scales and NTEP Approved Software. CCS meets each state’s metrics and limits. Their secure solution comes with patient/client verification and data encryption - locking down the system from raids, preventing tampering and exposing the system to hackers. Cafe Cartel provides solutions to dispensaries across the US and Canada. All systems come with reconciling, reporting, employee time clock and labor scheduling - to name a few. To review these features and more with an industry consultant, call 866-973-8099. Located in the capital of Oregon, Salem, is Herbal Remedies; a premier medical and recreational marijuana dispensary. All veterans receive 10% off and every first time patient/client does as well. Herbal Remedies provides the best buds in the valley and was even awarded the Geek Farms 2016 Dope Cup for “Best Indoor Garden”. With Happy Hour specials everyday from 1-3pm and a central location, it’s hard to imagine a dispensary getting any better than this! Did we mention that they’re open everyday of the week? When Herbal Remedies began looking for a POS, they began their search 4 months before their set opening date. This way they could thoroughly research the many different Point of Sale options available and ensure they got the best deal. They required 2 POS systems, a patient check station and a back office computer. The additional peripherals desired were integrated scales, label printers and ID scanners. The chose our Indica Altera option. This solution was the easiest to install, maintain and would prove to be the best long term solution compared to a setup with a shorter lifespan and lack of quality. The bottom line was that the system was reliable and they could depend on it to meet their strict regulations. Their setup met all requirements of the state including metrics and limits. The integrated scales were NTEP approved and legal in the US and Canada. Included in the package are: grow tracking, to happy hour pricing and loyalty programs, CCS had it all. The extensive inventory control tools which covered location inventory and serialized inventory. Their system was secure and included data encryption.Additionally it comes a host of standard POS System solution including reporting, reconciling, employee time clock and labor scheduling.